The 6.5 inch Sunflower candle rings will add a nice full look to your candle arrangements and are perfect to use all spring and summer long. The lush green silk leaves have a stunning contrast with the brilliant color of the sunflowers in full bloom. 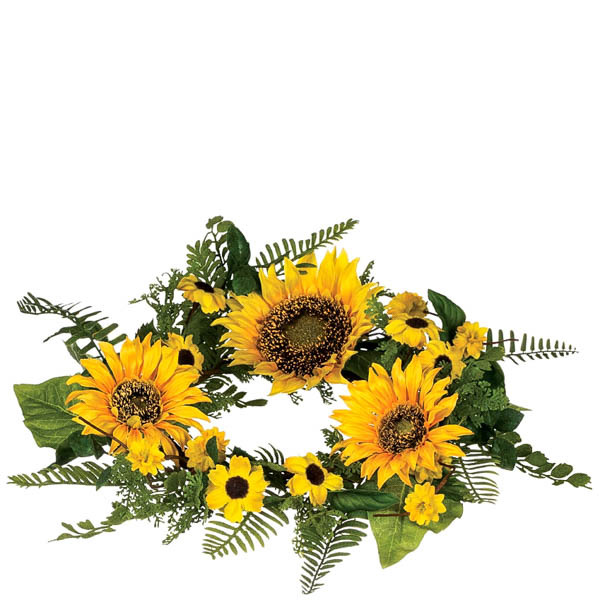 Use these large Sunflower candle rings around large 3 wick pillar candles, small groups of candles, large bowls, or vases. Show off your creative side by decorating with this candle ring in a unique way.